Carey Purcell recently wrote an article about the high cost of being a bridesmaid. Good Morning America teamed up with Coolhaus to pick out an official GMA ice cream sandwich. Plus, the Dog Vs. Dog finalists and Kevin James performs an impressive magic trick. A survey on Mint.com said that the average price of being a bridesmaid is $1,700, and many people, including author Carey Purcell, are not OK with the high price. 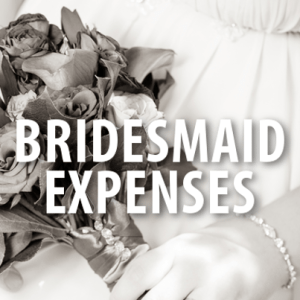 Carey Purcell recently wrote an article titled, “How Being a Bridesmaid Is Driving Me to the Brink of Bankruptcy.” She said that she’s now reluctant to accept the honor of being a bridesmaid because she just can’t afford it anymore. Carey Purcell said that she’s done a lot of freelance writing and nannying outside of her normal job to make sure she didn’t go into debt. Anja Winikka of TheKnot.com said that there are a few ways that bridesmaids can avoid high costs, such as going in on a gift for the bride together instead of all buying separate gifts, and sharing cars and hotel rooms when traveling. Carey Purcell said the extravagant spa time and trips to Vegas can be a little excessive, but there are other great things that bridesmaids can offer. The people of Coolhaus were on Good Morning America to help find an official Good Morning America Ice Cream Sandwich. The options were candied bacon ice cream with chocolate chip cookies, yogurt and berries ice cream with oatmeal raisin cookies, and coffee Oreo ice cream with maple flapjack cookies. The yogurt and berries ice cream with oatmeal raisin cookies won the contest for the official Good Morning America ice cream sandwich. You can learn how to make these sandwiches yourself with Coolhaus Ice Cream Book. Noodles won the July 1 2014 round of Dog Vs. Dog, and he’s now facing off against Happy Jack. The winner of this round will be the official Dog Vs. Dog champion. You can vote for your favorite dog on Good Morning America’s website. The Illusionists will be on Broadway fall 2014, and one of the best performers, Kevin James, was on Good Morning America recently to perform “The Rose Trick.” Using a piece of paper, he folded it into a few different shapes, including a rose that he made float, and eventually set on fire. After he set the paper rose on fire, it turned into a real rose. I don’t really understand how he did it, but I guess that’s why they call it magic.